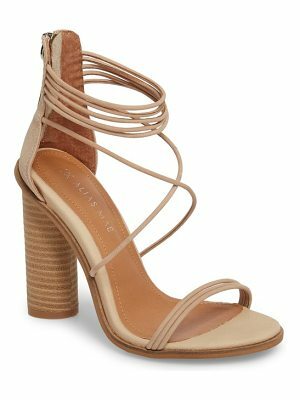 ""Sandals by Missguided, Smooth patent upper, Ankle-strap fastening, Slim design, Point heel, Wipe clean, Heel height: 11.5cm/4.5". With an eye on the catwalks and hottest gals around, Missguided's in-house team design for the dreamers, believers and night lovers. Taking the risks no one else dares to, its body-conscious dresses, crop tops and ripped denim are your standout style hacks."